Visiting Thailand is always a treat. 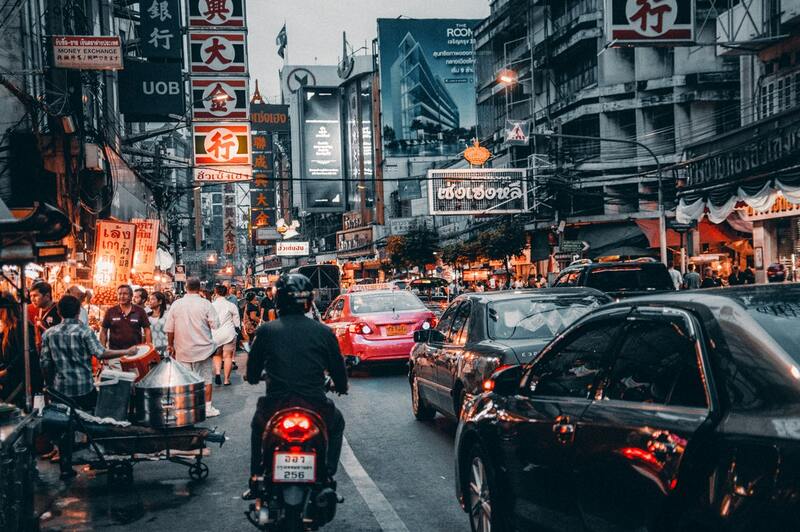 I find that Bangkok is the type of city that always leaves you in suspense, like you missed something big or skipped visiting some new aria that happened to be the hottest thing in town. The city always made me curious about what it has to offer and probably this is one of the main reason I keep going back. City secrets aside, there is also a great deal of shipping to be done. Bangkok offers a great mixture of Thai, Korean and Japanese products offered at any price point making shopping far more exciting. Here are my latest thai beauty finds. If you ever dared to splurge on Miji Unbleached cotton pads you will probably know that they are truly life changing. In Asia the same shape and thickness of cotton pads in kind of the bulk standard so any cheep brand will do. I purchased my cotton pads from Select 7 supermarket for something very close to 5p. They are amazing. I feel like every girl, deep inside love Hello Kitty. So it came as no surprise when I purchased Bifesta Moist Cleansing Sheets in the Hello Kitty limited edition. These are also drugstore and relevantly cheap alternative to the makeup wipes. What attracted me the most was the oil fee formula and convenient packaging (it comes with a sealed lid to keep the makeup towels moist for longer). Each sheet is generously moist and does the job well removing most make up (but not waterproof formulas). Taking off your makeup to keeping it on for longer, I discovered Srichand power in translucent, which is also claim to be the Thai dupe for Laura Murcier Translucent powder. In the packaging the powder looks a bit yellow and on the skin it does give a bit of brightening effect. It is very finely milled and melts into the skin in seconds. This powder is definitely worth picking up. Moving on to something more playful like The Bakery Macaron eye shadow. I only managed to picked up two colors because the rest was sold out. Looking back I really wish there were more available because I’m truly impressed how great they really are. The pigmentation is so strong, colors are very metallic, easy to layer and blend. No 6 Raspberry is dark burned orange type of color while No 10 Earl Grey is more of your typical caramel gold shade. I forgot to mention that they are very budged friendly too. I could not leave the country without purchasing mascaras. Majolica Majolica was the brand that seems to get the most attention in stores. I picked up Lash King which has tiny wand and Lash Expander Edger Meister which has flat plastic wand. Both mascaras target volume and length, and deliver on both fronts. The fomula of both comes with tiny fibers which stick to your natural lashes and help them appear fuller. From my last trip I remember the brand In2it and one amazing black eyeliner that was part of their range. Sadly I could not find it so instead I went for their black Gel Liner Pen in Waterproof. It came in a pack of two, so the second color I got was 06 perl (pearlescent pink). Both are super soft and glide on very easily on the skin. The pearlescent pink shade is not my favorite since it contains big chunks of shimmer which I tend to generally avoid. Hope my latest thai beauty shopping haul was somewhat helpful and next time when you are around Asia you can also score some great drugstore make up gems.